There have been countless movies and TV shows depicting terrifying tales of hauntings that have resulted in hideous deaths, but do any of them have their basis in reality? While stories of poltergeists are rife, has anyone actually died as the result of an encounter with a ghost? While no coroner has ever been known to have recorded a specter as an official cause of death, there is enough documented evidence out there to suggest that there may be a spark of truth to all of those tall Hollywood tales. 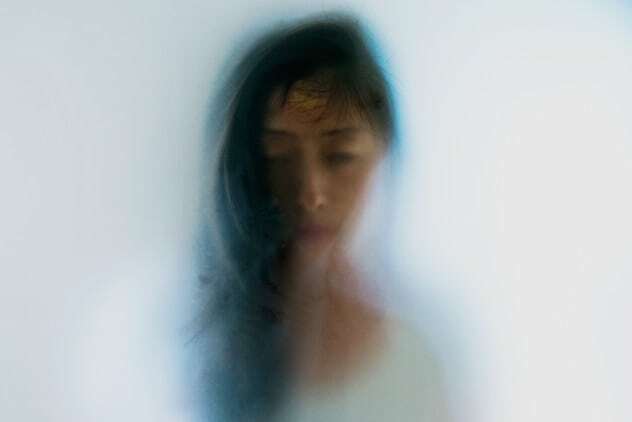 Here, we look at the stories of ten people whose death has been linked in some way to the ghostly and supernatural—judge for yourselves just how much truth lies behind them. 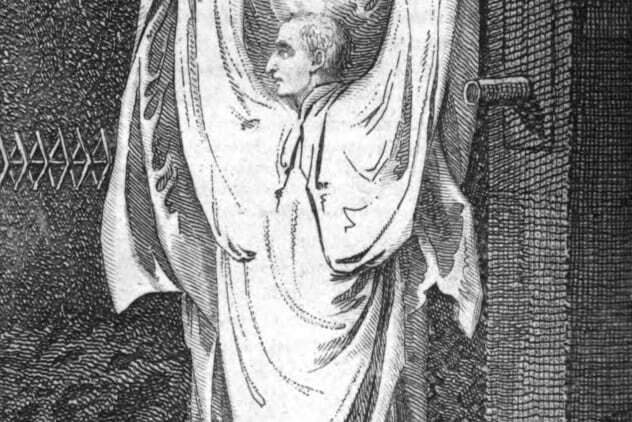 One of the best-known and best-documented deaths that was, albeit indirectly, attributable to a specter is that of the Hammersmith Ghost. In the early years of the 19th century, West London’s Hammersmith district was full of rumors about a terrifying apparition that was haunting one of the area’s graveyards. Local people reported seeing a figure in white, sporting a glass eye and horns, who would emerge suddenly from the spooky shadows, wailing, moaning, and writhing before passersby. After a pregnant woman claimed to have been attacked physically and a wagon driver abandoned his passengers and horse in fear at the sight of the specter, the news spread that the ghost may have been that of a man who had recently killed himself before being buried in the churchyard’s consecrated ground. The reports were taken so seriously that armed patrols were sent out to arrest the ghost, and it wasn’t long before one of their number, an excise officer by the name of Smith, encountered it in person. After demanding to know the identity of the apparition and receiving no response, he fired a shot from his gun, fearing that he would become the next victim. Unfortunately, it was no ghost that lay dead in the graveyard. 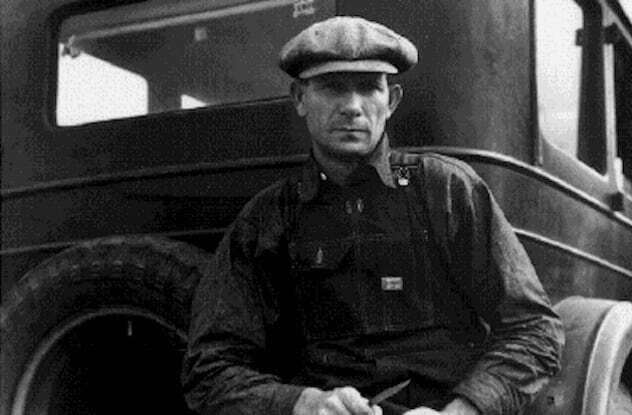 Instead, the victim, Thomas Millwood, was a man—a plasterer wearing the white clothing that signified his trade. The murder trial that ensued was one of the most unusual in history, with Smith eventually being sentenced to death (although this was later commuted to hard labor thanks to a royal pardon.) However, Thomas Millwood’s spirit didn’t rest easy. The day after he was killed, his body was brought to the Black Lion public house, and to this day, it is believed that he still haunts the premises, whispering in patrons’ ears, banging on walls, and making loud footsteps over the bar area. Thomas Millwood may have truly become the Hammersmith Ghost after all. 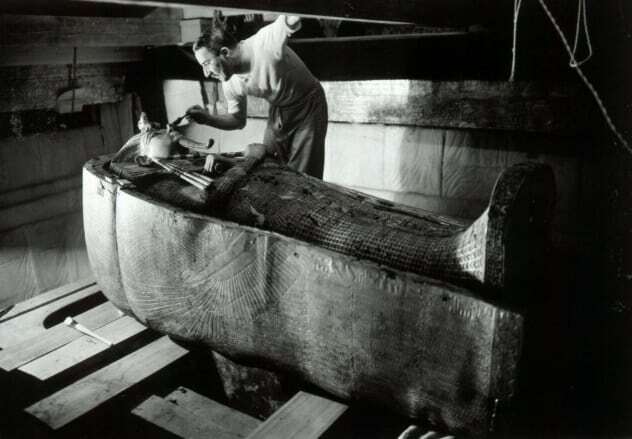 During the early 1920s, the pharaoh Tutankhamun’s tomb was discovered in the Valley of the Kings, an Ancient Egyptian burial site dating back to the 16th century BC. The virtually undisturbed tomb was uncovered by Howard Carter, a British archaeologist, together with the fifth Earl of Carnarvon. The amazing haul of finds would become a worldwide media sensation. However, the press also seized on the stories which said a curse would fall on anybody who desecrated the pharaoh’s tomb, and shortly after, Lord Carnarvon himself met an untimely death in Cairo. Arthur Conan Doyle, famed Sherlock Holmes creator, fueled the fires of the rumor mill by telling the press that it was an evil spirit which had been summoned by ancient Egyptian priests to protect their pharaoh in death which could have killed Carnarvon. While all this speculation may have diminished over time, the following years saw a string of deaths of numerous people who had been part of the team that had uncovered the tomb or who had, in some way, been involved with the proceedings. Among the death toll was Arthur Mace, a member of the excavation team who was killed by arsenic in 1928; Richard Bethell, Howard Carter’s secretary who allegedly smothered to death in his sleep in 1929; and Sir Archibald Douglas Reid, who was responsible for X-raying the pharaoh’s mummy and was the victim of a mysterious death in 1924. Could an ancient Egyptian ghost have been responsible? 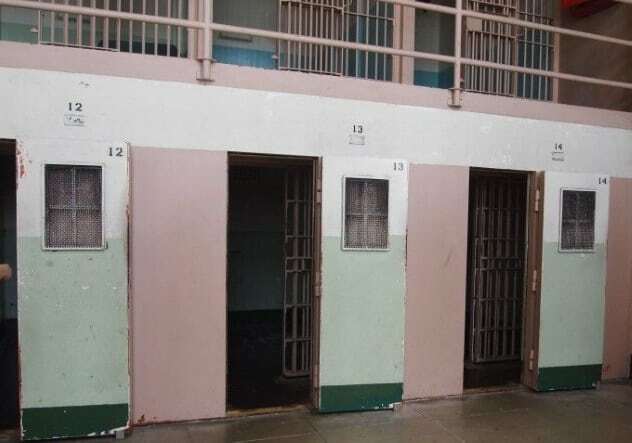 Alcatraz is widely believed to be one of the most haunted spots in the United States, but no part of the notorious island prison has been linked with more terrifying tales of ghosts than the cells in D-Block. A portion of D-Block is known as the Hole. The Hole is the coldest part of the prison, and its cells were used for solitary confinement. The cells featured only a sink, a toilet, and a dim light bulb controlled by the guards. Inmates slept on mattresses that were taken away during the day. No reading materials were allowed, leaving inmates with nothing other than crushing boredom. The final cell in the Hole was called the Oriental and was essentially a steel sensory deprivation chamber with only a hole at the bottom for waste. During the 1940s, there were many reports of a ghostly man wearing late-19th-century prison clothing patrolling the Hole. However, the apparition may have been responsible for a suspicious death of a prisoner. Shortly after being locked in a Hole cell, the inmate began screaming that there was somebody with glowing eyes trapped in with him. The guards ignored him as he screamed long into the night before an eerie silence fell. The next day, the guards discovered that the convict had been strangled to death, the handprints on his throat livid and fresh. While some say that one of the guards finally snapped and took the ultimate step to stop the man’s screaming, a thorough investigation into the matter turned up no evidence. Did a 19th-century prisoner who wandered the jail’s corridors commit the crime from beyond the grave? In 2013, villagers living in a Tambon Tha Sawang in Thailand were terrorized by the ghost of a widow who was believed to have killed ten men in the space of a single month. All of the men had died under mysterious circumstances, some while sleeping and others apparently dropping dead while walking around. All had been declared by doctors to have died of respiratory failure. Since none of the men had shown any signs of being ill, the villagers hired a spirit medium, who blamed a widow ghost for the deaths. The medium then recommended that each resident hang red shirts outside their houses so that the spirit would be repelled, especially those who only had a single son, since they were most at risk of a ghostly visit. While that may have been the end of the inexplicable deaths in Tambon Tha Sawang, in 2018, a different Thai district was being terrorized in the same way. Was it the same ghostly widow? In 19th-century England, coroners and juries relied on the evidence of witnesses in court to determine the cause of death in cases where the deceased was believed to have died of “unnatural” causes. In Bristol in 1841, an inquest was held into the death of Patrick Hayes, an “aged laborer” who had fallen down the stairs and died. The wife of landlord of the inn in which he had died, Mary Croker, gave testimony that she had heard the sound of the deceased as he fell down the stairs. She shouted out, asking who had fallen, and the reply, in the deceased’s voice, said “It is me, and I am dead.” In her questioning under oath, Mary Croker informed the coroner that the man had clearly seen the house’s resident ghost—a lady wearing a silk gown who had already killed two or three of her former lodgers by scaring them to death. 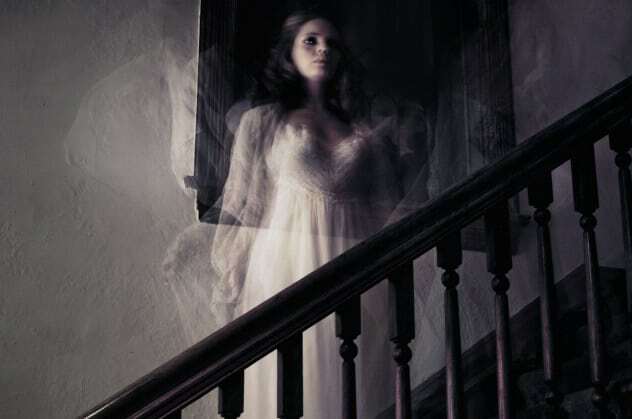 In mid-1800s South Yorkshire, UK, a woman named Hannah Rallinson was officially recorded as having died from fright. Rallinson and her husband, both Mormons, had recently moved into new rooms in Sheffield and had been introduced to a woman named Harriet Ward. 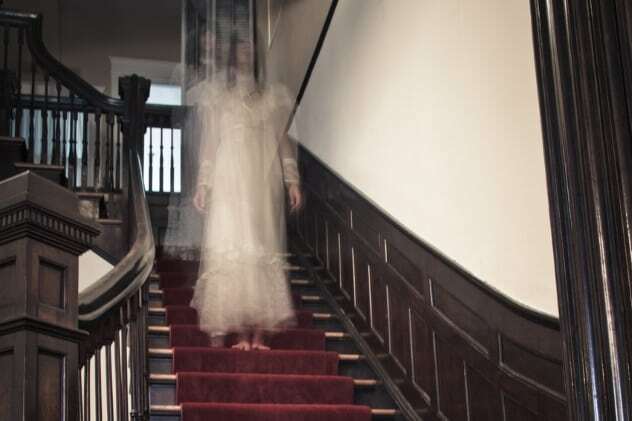 One day, Harriet had been going down into the cellar of the Rallisons’ home when she screamed, claiming to have seen a ghost of a terrifying, bloodstained old woman. Harriet didn’t just see the apparition once—in fact, it appeared to her on five separate occasions over the 24 hours that followed, both while she was asleep and awake. The Mormon congregation became obsessed with the Campo Lane Ghost, as it became known, and collectively decided that it must have been the victim of a murder who had been buried under the cellar floor. It was decided to take away the flagstones to find out what was beneath. As the night wore on, a large group gathered to observe the proceedings, and it was decided to cover the cellar’s window to stop the crowd from looking in. Hannah Rallinson went down to the cellar with a blind, and what she saw on the cellar steps caused her to fall into a dead faint. It was reported in the local newspaper that she had seen a woman in white who had rushed at her before vanishing. Another tragic tale of the 19th century is that of Jane Halsall, a seven-year-old girl from Lancashire, England, who allegedly died at the hands of a specter known as Spring-heeled Jack. 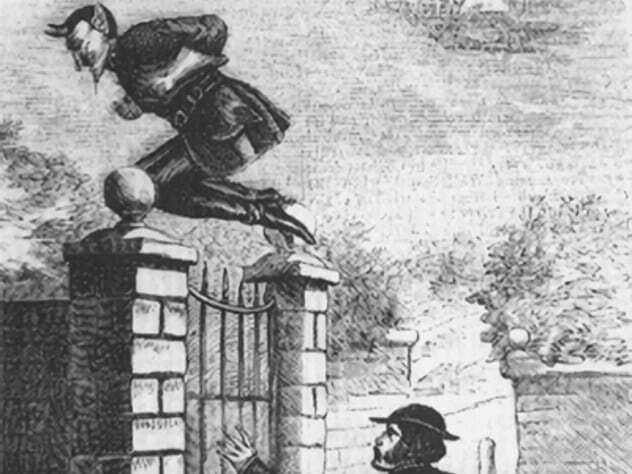 Stories of an apparition named Spring-heeled Jack had been in circulation for several decades before the unfortunate death of Jane Halsall, and fear of this terrifying character had not abated over the years. When Jane returned home one day saying that her playmates had warned her that Spring-heeled Jack was on his way to her hometown, her parents tried to allay her fears. However, that very night, Jane fell seriously ill and was unconscious by the time the doctor arrived. Just six hours before her untimely death, she was quoted as having said, “The ghost is coming.” The coroner concluded that she’d died of fright and laid the blame on Spring-heeled Jack (or rather the man he believed was impersonating the evil spirit). A coroner’s court jury found “Jack” guilty of the death of the little girl, arguably meaning that a ghost was tried and found guilty in a court of law. 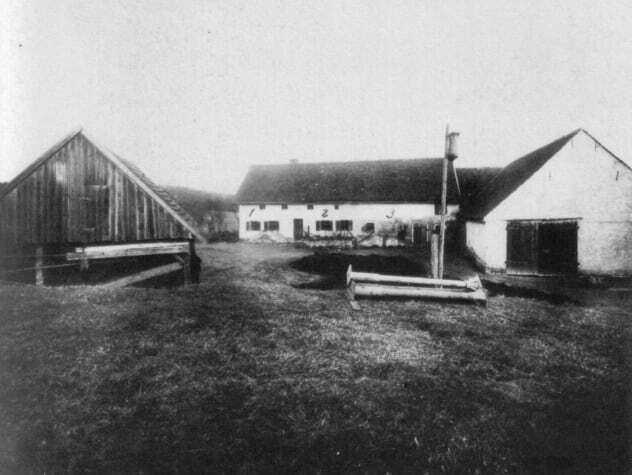 With its peaceful Bavarian surroundings, the Hinterkaifeck farm seemed to be an unlikely spot for one of the 20th century’s most puzzling murders. However, in 1922, this homestead was the setting for a case that would baffle the German police and would never be resolved. The Grueber family, who lived there, were social outcasts, with the husband being a notorious wife-beater who’d had an incestuous relationship with his daughter. Nevertheless, the events which ensued on the Gruebers’ farm shocked the local community. In late 1921, the Grueber’s maid, Maria, reported hearing disembodied footsteps and voices around the house. She left her position abruptly, afraid the farm was haunted. Six months after Maria’s departure, the father, Andreas, saw footprints in the deep snow surrounding the house leading from the woods to the farm. There were no footprints to show a return journey. Andreas carried out an immediate search, but no one was found. That night, Andreas, too, heard the strange noises in the attic. Again, he found nothing and no one in hiding. Events took an even stranger turn after that. The next morning, an unfamiliar newspaper was lying on the porch. A few days later, one of the house keys disappeared. Andreas saw scratches on the tool shed lock as if somebody had been trying to pick it. Some days later, the townsfolk began to wonder where the Gruebers had gotten to. They went to the farm to check on the family and made a grisly discovery in the barn—the bleeding bodies of four members of the family, all stacked one on top of the other and covered up with hay. In the house, the rest of the family and the replacement maid were also found dead. Although there were signs of strangulation, the instrument believed to have caused their deaths was a pickax. There were a bunch of complicating factors, too. Every one of the bodies had been covered up in one way or another, and while their date of death was found to be March 31, neighbors had seen smoke from the farm’s chimney after that date. There was evidence in the house of meals having recently been eaten, a bed had been slept in, and the farm’s animals had been fed. There was no evidence of any theft, and jewelry and coins remained untouched in the home. Was it a vengeful spirit that killed the Gruebers? Was it a grisly home invasion? Whatever the truth of the matter, the police have yet to solve the murders, and the jury is still out. In 2009, the Jamison family disappeared, apparently off the face of the Earth. Their bodies weren’t found for another four years, when their skeletal remains were all discovered lying facedown in the woods, close to where their abandoned truck had been found back in 2009. Before their disappearance, the Jamison family had told anyone who would listen that ghosts were haunting them and that Madyson, their six-year-old daughter, was in regular conversation with a ghost girl who had met her death in their house decades ago. The day that the family disappeared, security camera footage shows them packing their vehicle, almost as if under some kind of trance. No cause of death was determined, and there have been suggestions that the family members were possessed by the ghosts that inhabited their home. Since the bodies were severely decomposed, there was no way of telling what killed the Jamisons, so speculation is still rife. These are just ten documented deaths that have been linked to ghosts. While the truth is shrouded in mystery, all we know is that these people died under bizarre circumstances. Who knows what really happened? I am a one-time actress, legal secretary, and early years teacher turned writer with an interest in history, the unusual, and the fascinating! Read more creepy 10 Terrifying Places Haunted By The Ghosts Of Brutal Violence and 10 Terrifying Tales Of Violent Poltergeists.